The history of M. Huber I.T.Σ. 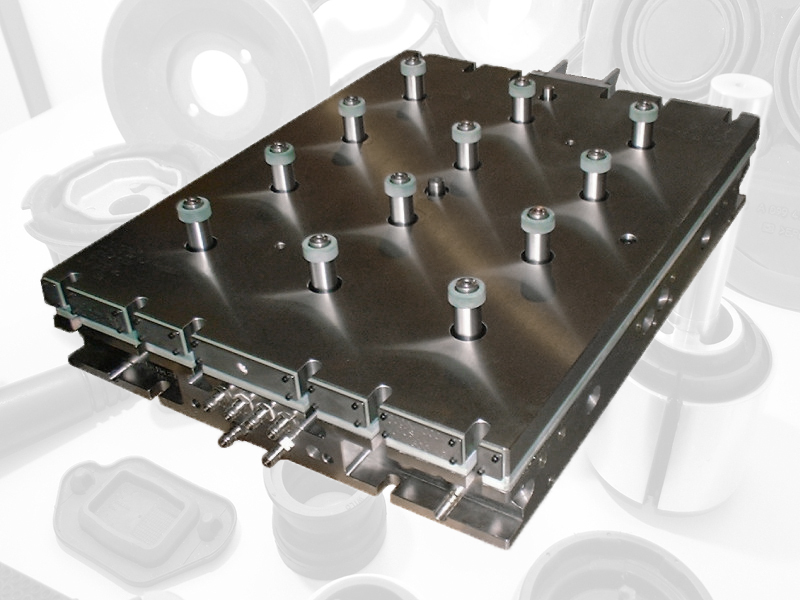 GmbH started in 1994 with the development of a cold runner system which had to be easy to handle at a reasonable price. 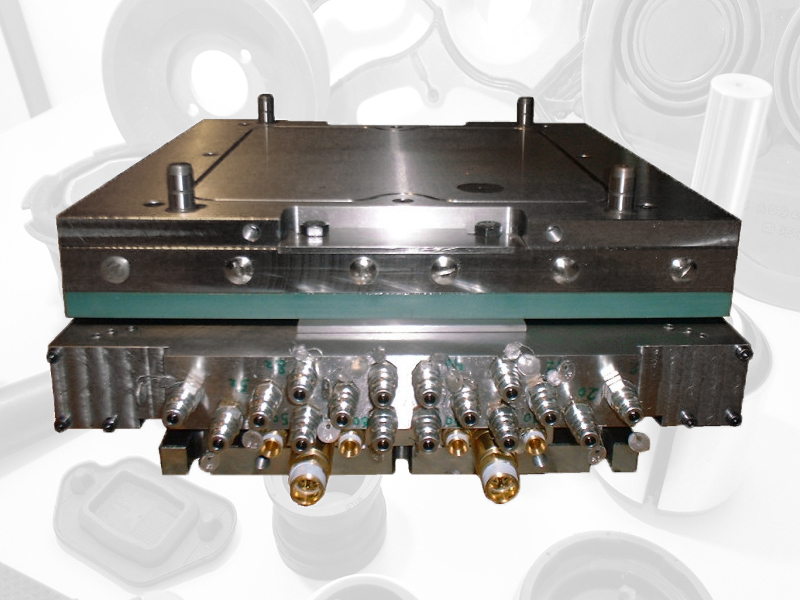 The result of this development is known as the hybrid cold runner system ( HKS ). Today M.Huber I.T.S. 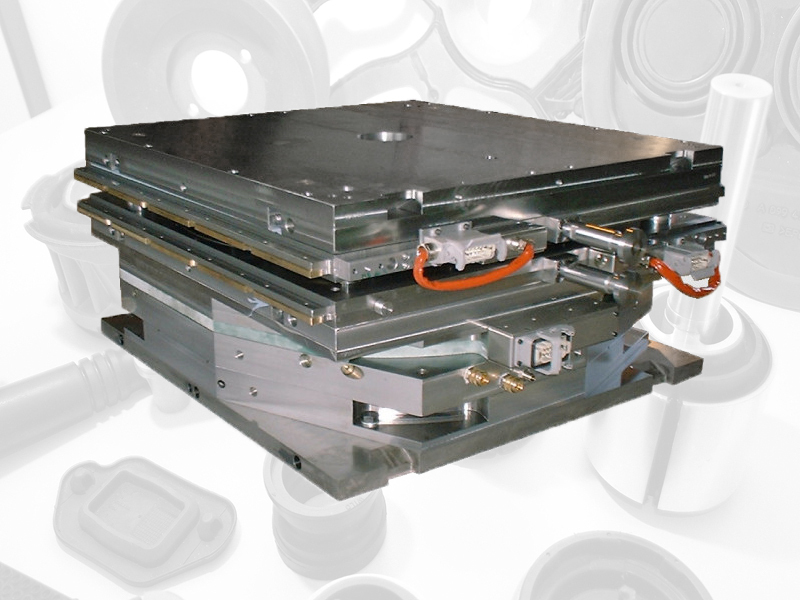 GmbH offers 3 basic types of cold runner systems. 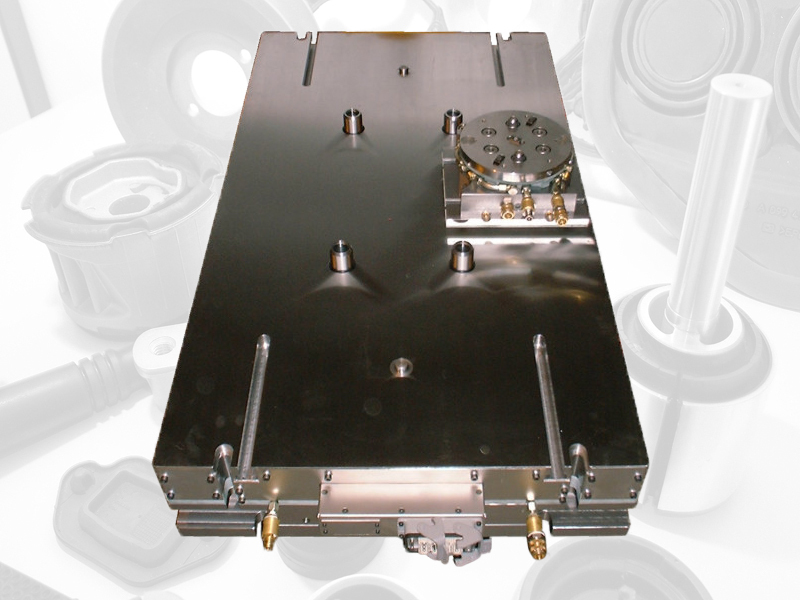 A split cold runner system, consisting of 2 plates in which the distribution layout is machined into each plate. as half section. This half sections are forming the frame to accommodate a closed runner system consisting of deflection units which are connected with pipes. 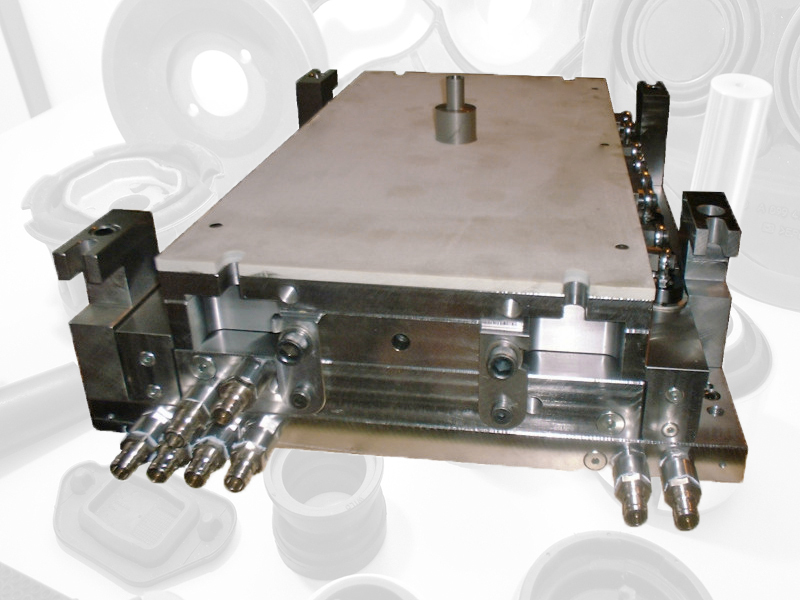 Reliable and due to the design it has proofed to be easy to clean, it also allows to facilitate nozzle lay outs which have been not possible with existing deep hole drilled systems. Using this design, completely vulcanized cold runner blocks are now not cleaned with mine workers technology, using extended drills and chisels. The HKS enables you to dismantle the complete runner system and clean it with a certainty of 100% not damaging the walls of the runners. 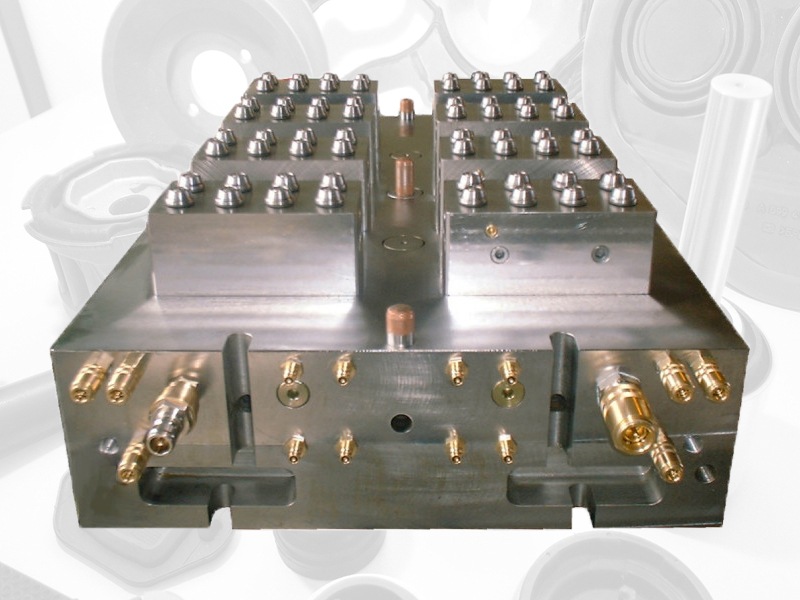 A one piece system , consitsing of onyl one block of steel, in which bthe rubber runners are machined by the means of deep hole drilling. The deflections and distributions are realized by conical inserts. Using one of the above discribed cold runner systems, I.T.Σ. offers now also a solution to inject directly on to the cavity with a valve gate nozzle. The hydraulic driven needle runs through the nozzle tube and closes the nozzle either at the nozzle itself or it is made part of the mould and hence closes at the cavity contour directly . 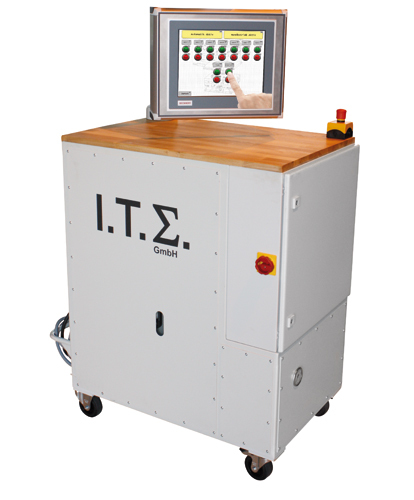 with this technology it enables you to manufacture without sprue at all. Modifying the basic systems at numerous amount of variations customized to your needs are possible.